I’m Barry and Manchester wedding photographer of Autumn Stone Photography offering wedding photography that’s a little bit different. I’ll be telling the story of your wedding day, the fun, laughter and joy from you and your guests and showing all of this in photographs. Please take the time to have a look around my site and if you’d like to find out more about me, then take a look at my about me page. If you’d like my wedding brochure then why not get in touch and ask? I’m an award winning wedding photographer in Manchester. Producing natural creative photographs of your wedding. I want you to look back at your wedding photographs in years to come and laugh, cry and everything in bewteen. Everything you see is real and natural, nothing is staged or set up. 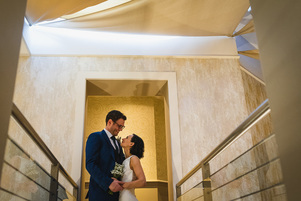 Take a look at some of my favourite wedding photos at venues such as Didsbury House Hotel and The Castlefield Rooms. My style of photography is very contemporary but with a hint of traditional thrown in for good measure, that means I do a few group shots to keep the parents and grandparents happy. There are no forced smiles and no awkward poses. I’ll capture natural expressions, showing you and all of your guests at their very best. 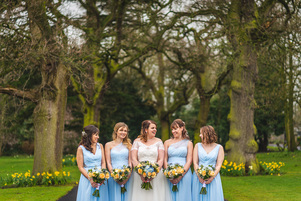 If you’re looking for an award-winning Cheshire photographer, look no further! I capture natural moments as they happen but I’m not the sort of wedding photographer who stands in a corner of the room with a telephoto lens. 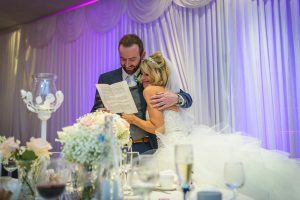 I use a short lens which means I get in very close to the action, mixing with you and your guests so your photographs will really show the emotions and excitement of your marriage. I mostly photograph weddings in Cheshire, but I also provide Stockport wedding photography, as well as covering the whole of the North West of England and the UK. Got a couple of minutes to spare? Prefer to see the wedding photos at your own pace? Then take a look at some of my favourite moments from weddings, engagements and family shoots – why not head over on my blog pages? 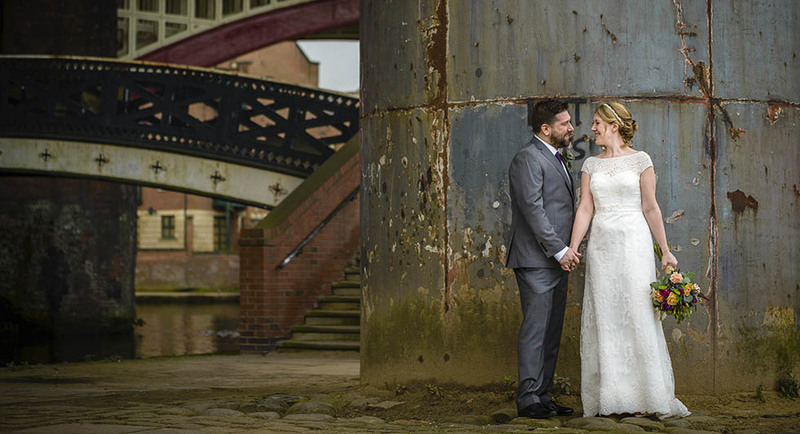 Here you’ll see more Manchester wedding photography as well as my engagement and family shoots. Winner of the prestigious excellence award from Wedding Photography Select – a directory of the UK’s best wedding photographers. My work has also been featured in the UK’s most popular wedding blogs, such as The Wedding Magazine and Love Me, Love My Wedding. I was delighted to recently voted the leading wedding photographer 2018 in the Wedding Industry awards. Previously I was voted Business Excellence Awards Best Wedding Photographer 2016 and voted one of the top North West wedding photographers in 2015, see my awards and mentions page for more details. Then take a look at the weddings I have photographed in Cheshire. As well as photographing weddings, I also provide a unique take on portrait photography in Cheshire. I apply the same unposed, as it happens, real life moments to family photography. Take a look at my lifestyle page for more details. Manchester wedding photographer covering Stockport and Cheshire weddings, I photograph weddings all over the North West. Take a look at my recent full weddings gallery and then get in touch to receive my latest wedding brochure. If you are looking for some recommended suppliers then head on over to the suppliers page.